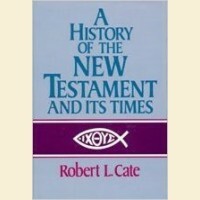 Author: Robert L. Cate Publisher: Broadman Press Year: 1991 Description: A highly rea.. Author: Leon J Wood Publisher: Zondervan Year: 1986 Description: A popular and useful.. Author: Mr Bill Humble Publisher: Christian Communications Year: 1990 Description: Expl.. Author: John Sailhamer Publisher: Zondervan Year: 1998 Description: A series of brief.. Author: Neil R Lightfoot Publisher: Baker Books Year: 2010 Description: (Third Editio.. Author: Joachim Jeremias Publisher: Christianbook Distributors Year: 1969 Description:.. Author: William Whiston Publisher: Nelson Year: 1998 Description: Josephus left us th.. Author: Merrill C Tenney Publisher: Hendrickson Year: 2001 Description: New Testament.. Author: R K Harrison Publisher: Hendrickson Year: 2001 Description: Old Testament Tim.. The Dead Sea Scrolls What Have We Learned? Author: Eileen M Schuller Publisher: Westminister John Knox Press Year: 2006 Descripti.. Author: Richard N Longenecker Publisher: Zondervan Year: 1997 Description: From the d.. Author: Gary V Smith Publisher: Broadman & Holman Year: 1994 Description: Designe..